Another cover from Ireland, sent by Fabio Bonacina for Nice Cover Circuit exchange in postcrossing forum. 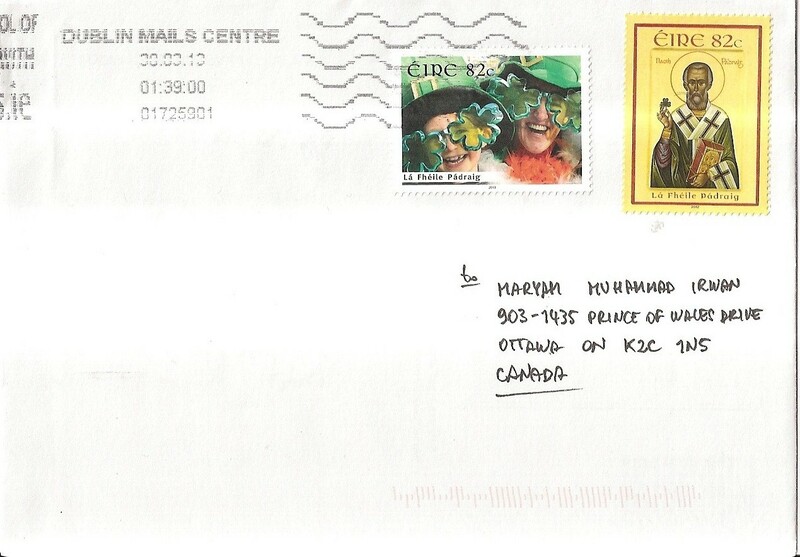 On this cover, Fabio affixed two stamps featuring Saint Patrick’s Day festival. 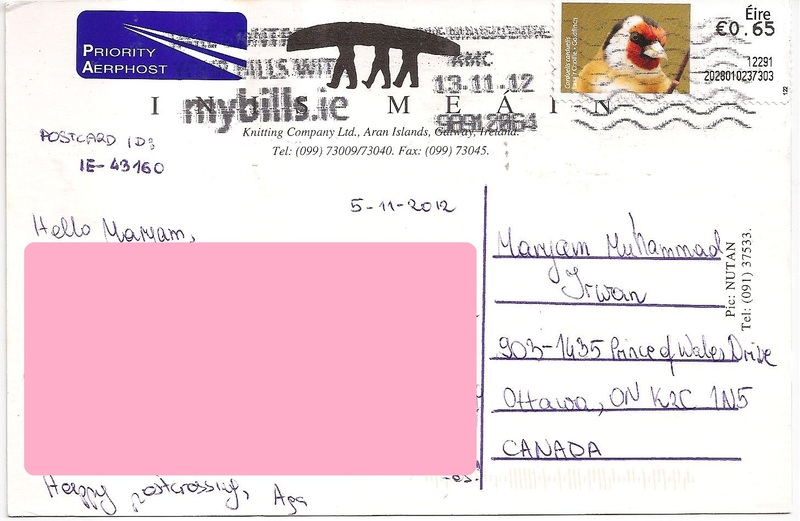 The postmark date is 30 March 2013 and the location is Dublin Mails Centre. 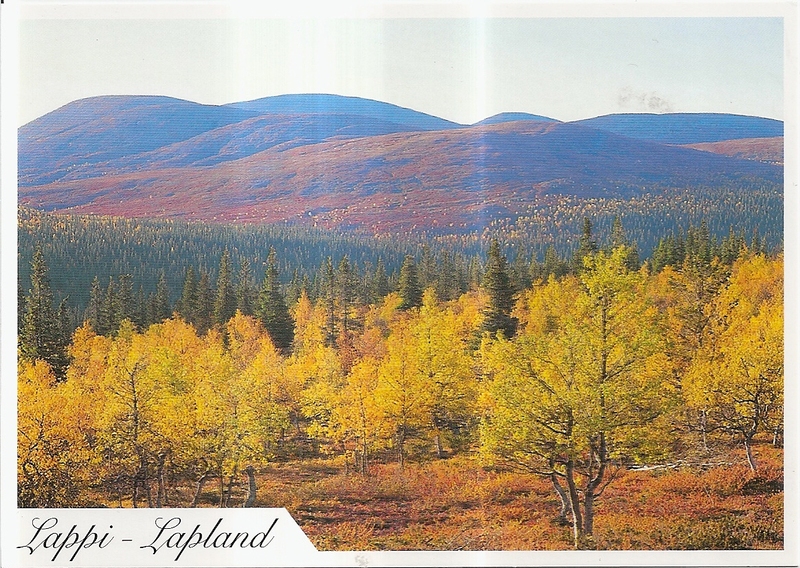 Inside is a postcard from Suomi, Finland showing a view of the Lapland. Thanks a lot Fabio! A cover from Ireland, sent by Fabio Bonacina. The cover is actually an FDC issued to commemorate the Irish Presidency of the Council of the European Union issued on 17 January 2013. 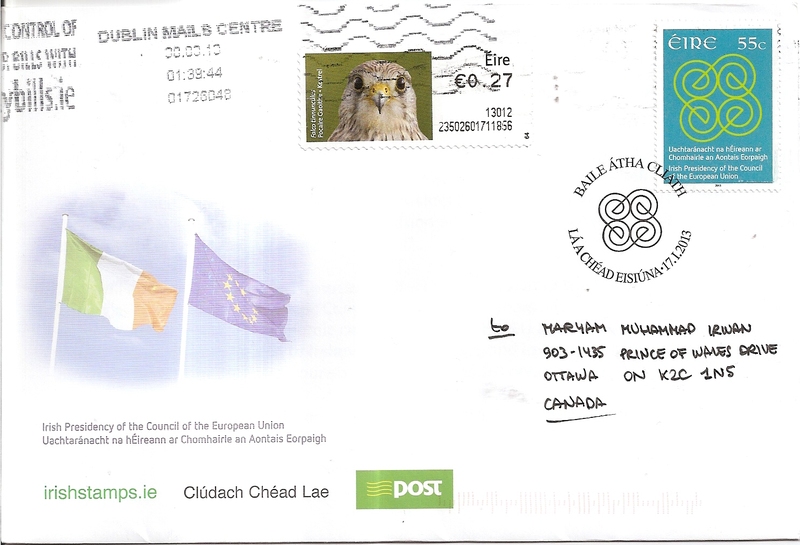 On the cover, Fabio affixed one stamp from the issue that features the logo of the Irish Presidency. There is also one postage label that shows a falcon. 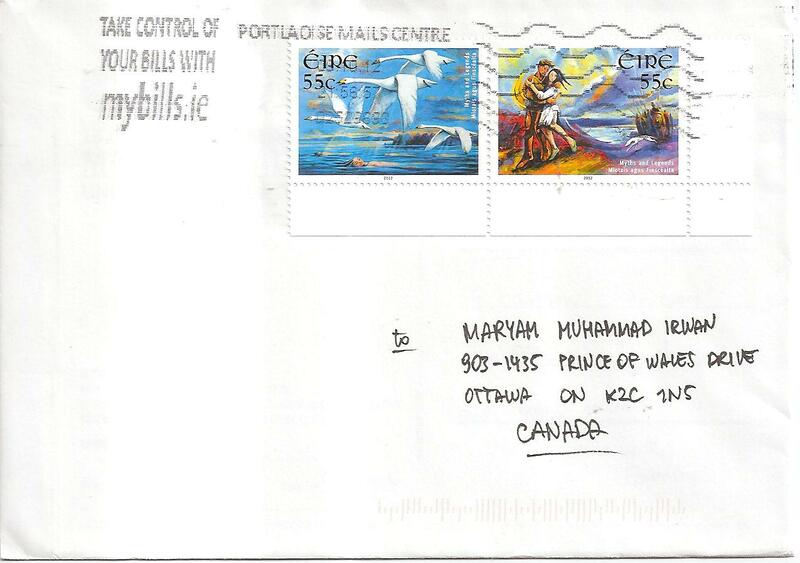 The postmark date is 30 March 2013 and the location is Dublin Mails Centre. Thanks a lot Fabio! A big cover from Ireland, sent by YL Phuah. 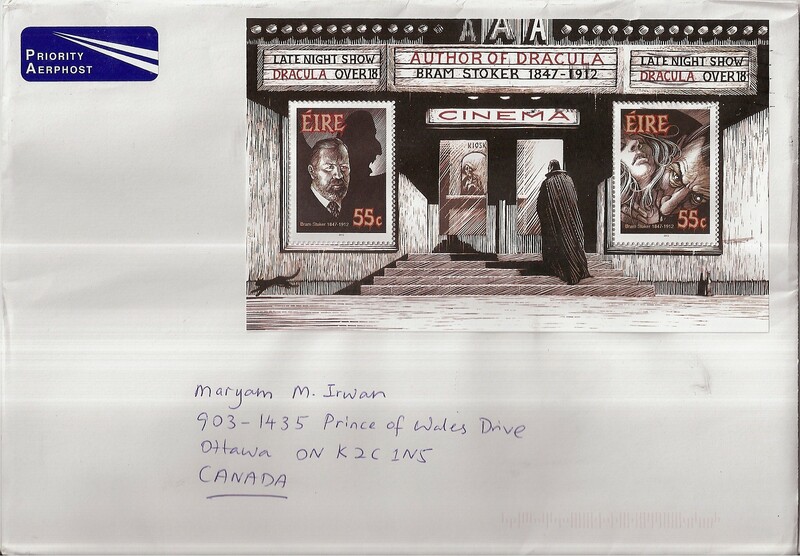 On this cover, Phuah affixed one large mini-sheet that was issued to commemorate the centenary of the death of Bram Stoker, the famous author of the novel ‘Dracula‘. The postmark is not visible. Thank you very much Phuah! 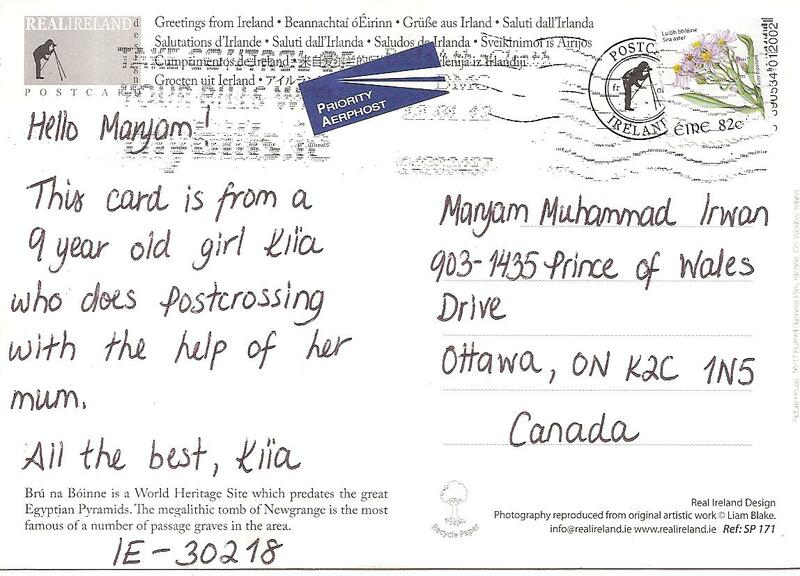 A postcard from Ireland, sent by postcrosser Agnieszka through official postcrossing. 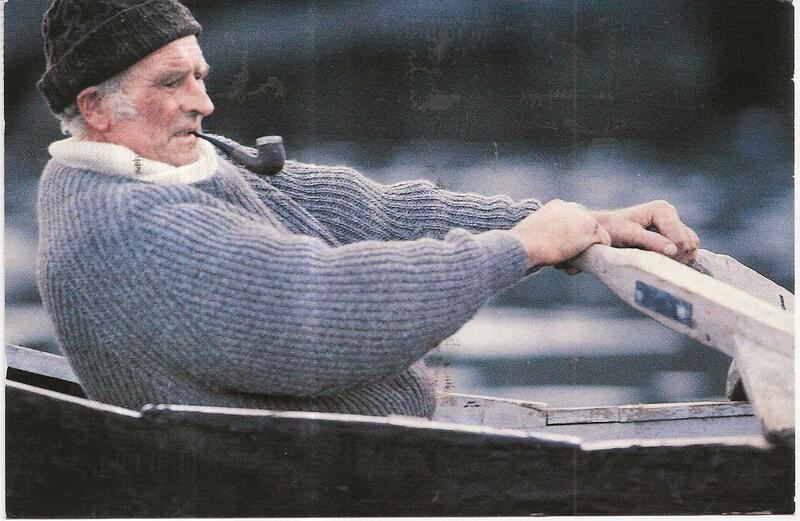 The postcard shows an Irishman with his pipe on a canoe. Aga used one bird stamp on the back. The postmark date is 13 November 2012. Thank you Aga! 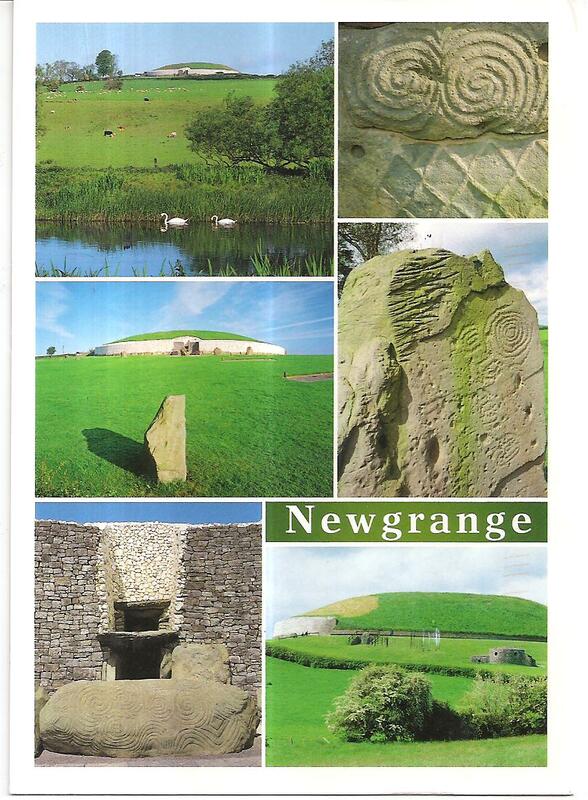 Another cover from Ireland, sent by postcrosser Fabio Bonacina for Group 270 in Nice Cover Circuit in postrossing forum. On this cover, Fabio affixed another two stamps from the Myths and Legends series. These two stamps complete all four stamps from the Myths and Legends set. The stamps are machine-cancelled and the postmark date is 9 October 2012. Thanks a lot Fabio! A cover from Ireland, sent by postcrosser Fabio Bonacina for Group 266 Nice Cover Circuit in postcrossing forum. Fabio affixed two stamps from the Myths and Legends series, and both are machine-cancelled. The postmark date is 9 October 2012. Thank you Fabio! A cover from Ireland, sent by YL Phuah for a private swap. Phuah affixed three stamps on the cover: two are flowers definitives and one is Europa stamp. 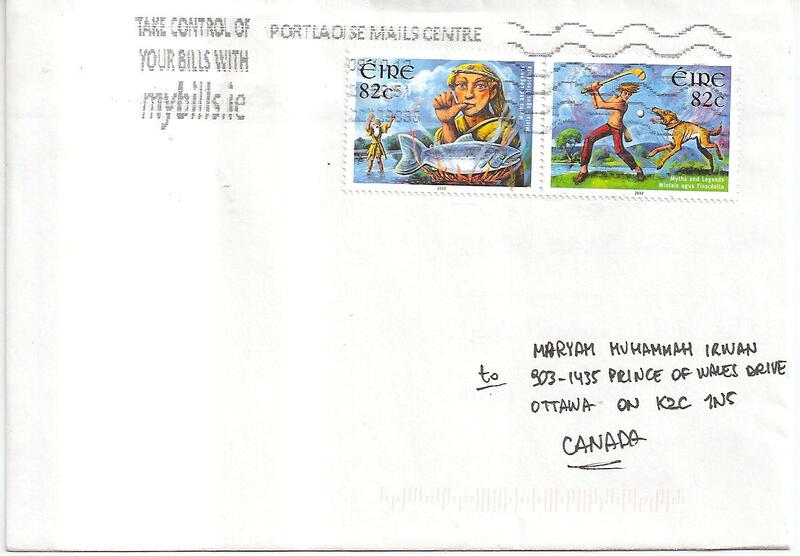 A machine cancellation was applied, the postmark date is 28 September 2012 and the location is Dublin Mails Centre. Thank you YL Phuah! 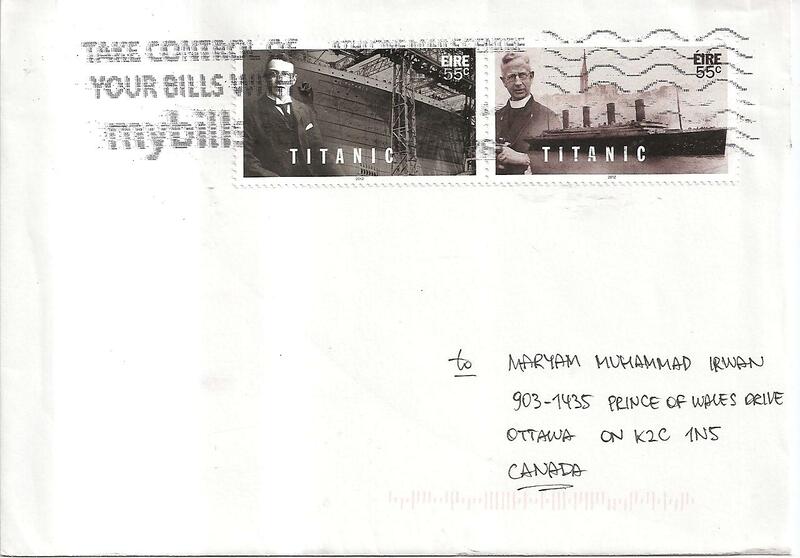 This is the second Titanic cover from Fabio Bonacina from Ireland. Two 82c stamps show Captain Edward J. Smith against an image of passengers at the Titanic stern and the ‘Unsinkable’ Molly Brown (neé Tobin), with the ship’s magnificent staircase in the background. 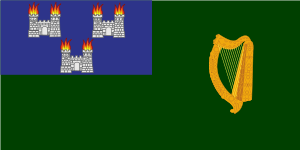 The An Post website can be accessed here: Centenary of the sinking of the RMS Titanic. Thank you Fabio! Today I received two covers from Fabio Bonacina from Ireland. 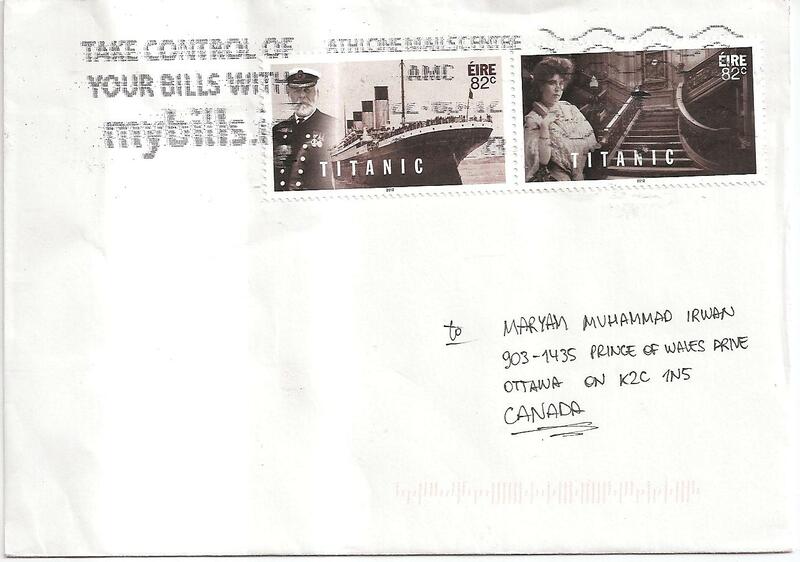 Both covers are affixed with two Titanic stamps issued by An Post. Two 55c stamps show Thomas Andrews, shipbuilder in charge of Titanic plans, with the ship under construction in Belfast in the background and famous Irish photographer Father Browne who travelled aboard the Titanic from Southampton to Cork, with the Titanic at anchor off Cobh. The An Post website can be reached here: Centenary of the sinking of the RMS Titanic. Thank you Fabio! My first postcard from Ireland! It’s from 9 years old Kiia.